Cinnamon rolls are good any time of year, but we swear they taste even better around Christmastime. The smell, the taste—it’s almost impossible to enjoy the sweet spiciness of cinnamon without thinking of Christmas. From eggnog to cookies to Christmas morning cinnamon rolls, cinnamon is synonymous with the most joyful time of year. But why? The answer lies in the history of cinnamon itself. In terms of history, cinnamon as we know it comes from Sri Lanka, India and Bangladesh. It was introduced to Europe by Venetian traders and it quickly became a hot commodity. The Spanish would mix it with Aztec chocolate, for example. 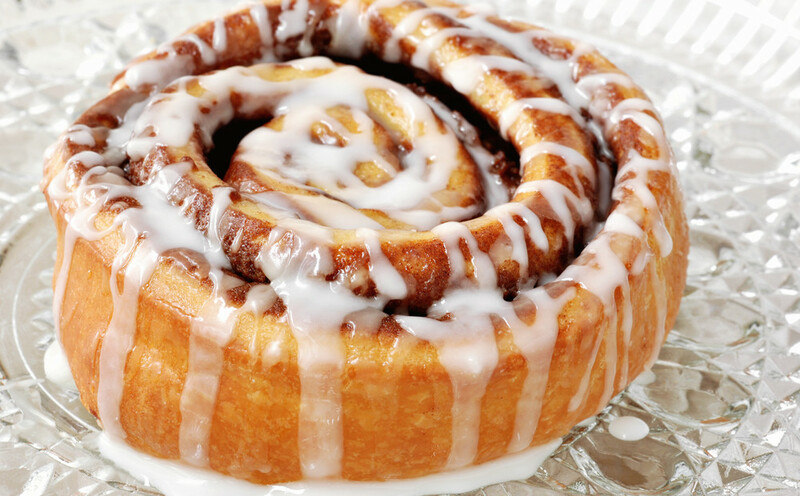 Cinnamon rolls, meanwhile, are said to have originated in Sweden, where they’re called Kanelbullar. While less sticky and sweet than the cinnamon rolls we know and love here in America, Swedish cinnamon rolls even have their own day in Sweden! But more importantly, people have been enjoying cinnamon for millennia. In fact, ancient civilizations considered the spice as precious as gold and silver. It was a gift fit for a king, right up there with incense and myrrh. The Bible even makes mention of cinnamon numerous times: Moses commanded that cinnamon and cassia be used in the holy anointing oil. The Song of Solomon describes the beauty of his beloved with her garments smelling of cinnamon. In Greek mythology, the phoenix (the mythological bird which would burst into flames only to be born anew from the ashes) would build its nest from cinnamon. In short, cinnamon was a spice meant for sacred things. No wonder we spice things up around Christmastime! There are so many ways to revel in cinnamon this Christmas season. As we celebrate the birth of the King of Kings, we can pay (delicious) homage with cinnamon, the spice fit for a king! Maybe your family has its own special cinnamon roll recipe, but we highly recommend our delicious Cinnamon Rolls, which you can order to-go and have just in time for Christmas! Baked fresh every morning and topped with icing, this delightful breakfast treat (dessert?) is ooey, gooey, and rich with cinnamon deliciousness. We love how they make our kitchen smell and you’ll love how they make yours smell, too! Because we’ll be closed on Christmas Day, order yours ahead of time by simply calling 816-436-7200. Merry Christmas!